It can be difficult to navigate the rental market in Phnom Penh alone, especially for a new expat who doesn’t know what to expect. Today Leah from Elevated Realty, a Phnom Penh real estate company and Move to Cambodia advertiser, explains prices of rental properties in Phnom Penh, and what sort of properties and features you can expect at different price points. A room with a view, or a home with a pool. 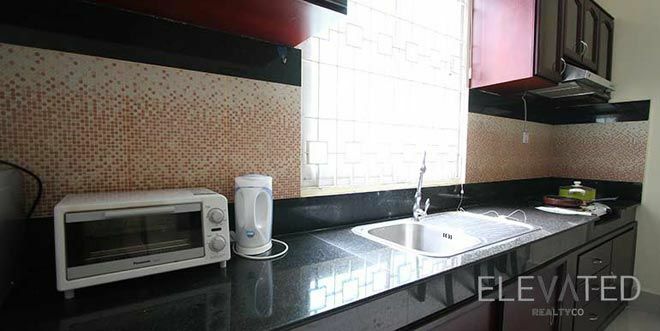 Understand what’s possible in the Phnom Penh rental market. Phnom Penh real estate offers all types of properties, from traditional Khmer-style townhouses to luxury apartments with rooftop swimming pools. Renters can make their dollar stretch a long way, if they know what they are looking for and have realistic expectations. The first step to finding the perfect home is having a clear understanding of what is available to you. 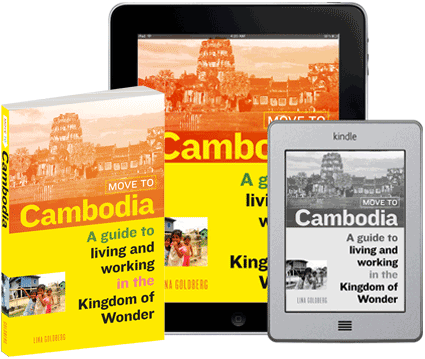 There are essentially four property types in the city, and though every home varies slightly you can put most places into one of these four categories: Khmer-style shophouse, renovated shophouse, Western apartment, or full-service apartment. Each property has features that clearly define its property type, and each type comes with a relatively standard price range. A Khmer-style shophouse is easy to identify and is one of the most common property types in Phnom Penh, often built up into three or four-story low-rise row homes. A typical long and narrow Khmer-style shophouse. This type of apartment can be found in nearly every Phnom Penh neighborhood. A Khmer-style shophouse is generally four meters wide by 16 meters long. The entrance is typically in the front or back of the apartment and the walls on either side have no windows. A typical Khmer-style shophouse bedroom often has no external windows. Bedrooms don’t commonly have windows, and if they do, they will face the interior of the home, not outside. Bedrooms usually will not have closets and instead have movable dressers or rattan shelving. A typical Khmer-style townhouse kitchen. Note the lack of counter space! 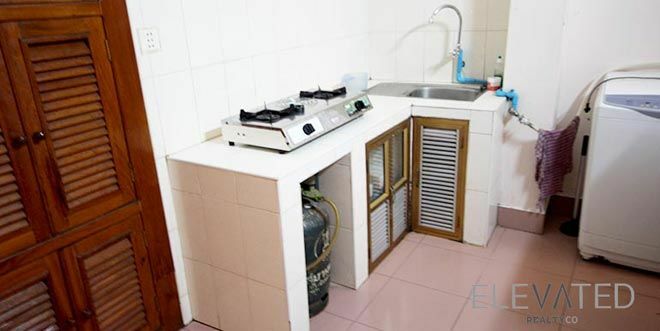 The kitchen in a Khmer-style shophouse is normally very basic: a sink, two or one burner gas cooktop, sink, and often lacking cabinet storage. Bathrooms are also basic with no separate shower, floor to ceiling tiles, and no windows. 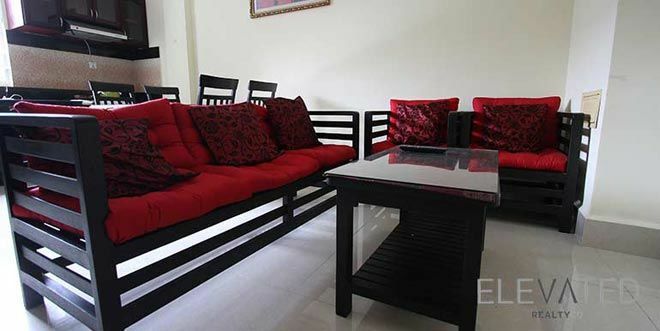 Other home furnishings will also be sparse and be either rattan or wood. In terms of furnishings, you can expect chairs or a loveseat, coffee table, and a table for eating. Khmer-style townhouse bathrooms are usually “wet rooms” without a separate shower. Though this style of home has fewer Western finishes, it is still very popular with foreign renters. A house like this is very local, and can have more charm than a new apartment building. Usually the owners are more willing to make improvements for you and will also permit you to make changes and modifications to the home. The right person has the ability to makes this style of house completely their own. It also lends to getting to know your landlord and neighbors (often local) gaining a better sense of community. A renovated shophouse can be more difficult to find but allows Phnom Penh renters the best of both worlds. They can be hard to spot from the outside because they have the same construction as the Khmer-style shophouse, but owners have renovated the apartment interior to have Western finishes, although they still have the same four meters wide by 16 meters long layout. The best of both worlds…a renovated Cambodian shophouse. These apartments will be renovated to look newer, some with new floors, added windows, and updated lighting fixtures. Other home furnishings will be newer and Western-style with plush couches, and a glass coffee table. 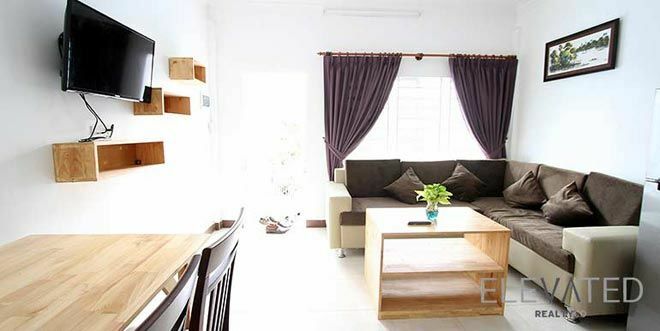 The rare renovated shophouse has external windows in the bedroom. Bedrooms may have built-in closets, and built-in shelving and of course, air-conditioning. Renovated shophouses bring Western kitchens to Khmer-style apartments. The kitchen in a renovated shophouse will usually have cabinets for storage, and newer appliances. Though more modern and western than a Khmer-style shophouse, furnishings and construction may be cheap and require a bit of maintenance. A typical renovated shophouse bathroom. This style of home is perfect for foreigners who want to live comfortably, but still on a budget. It offers you a little more basic comfort. but still has the charm and community of living in a Khmer-style shophouse. Owners are often friendly and eager to please and prices are affordable. 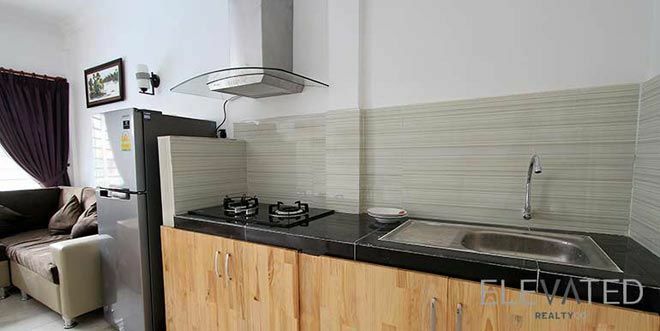 A Western apartment isn’t too specific and the styles of these new-build Phnom Penh apartments can vary quite a bit. From small low-rise walk- up apartments, to tall 12-story multi-unit towers. 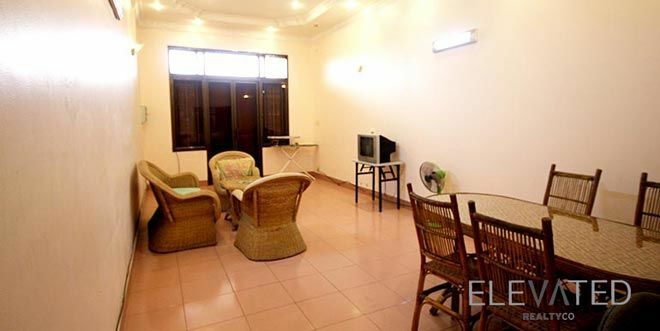 Western-style apartments in Phnom Penh have significantly more amenities. Western apartments are almost always new construction, will have diverse layouts, windows in every room and plenty of natural light. Kitchens are Western-style, with standard appliances and cabinet space. In this type of apartment, kitchens should be Western-style with cabinet space, counter space, and a built-in cooktop. 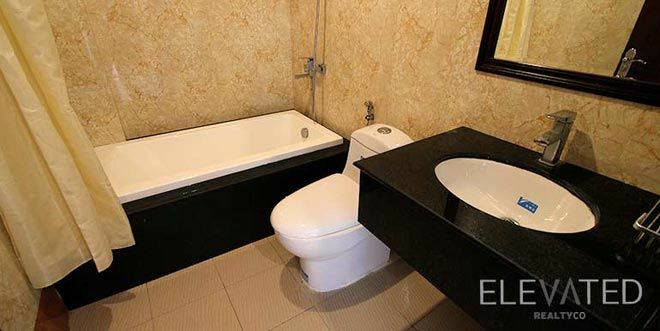 Western-style apartment bathroom in Phnom Penh. Yes, that is a bathtub. 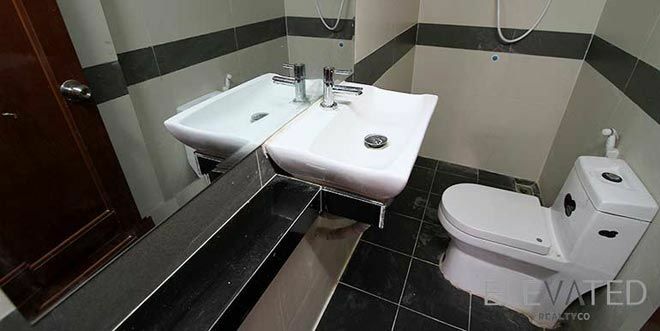 Bathrooms in Western apartments will be newer, have a window, and have only necessary tile, eschewing the fully-tiled bathroom aesthetic popular in Khmer shophouses. Depending on how high end the apartment, bathrooms may or may not have a separate shower or bathtub. Living space will be larger and have modern lighting fixtures and plush western furniture. Generally services such as cleaning, internet, cable, and water are included in the rental rate. Some will have elevators and rooftop terraces. 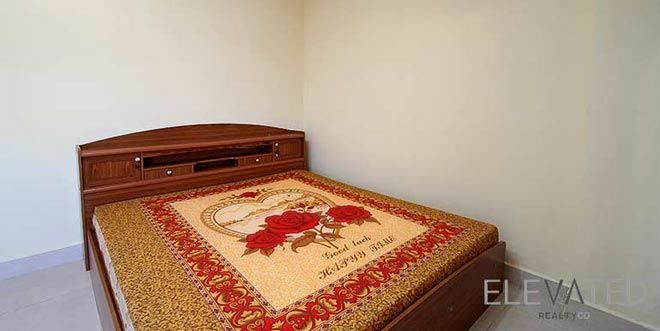 Western-style apartment bedroom in Phnom Penh. In this type of property the standard is drastically improved, construction is usually better, as is the security of the building. Typically most buildings will have parking for bicycles and motos. 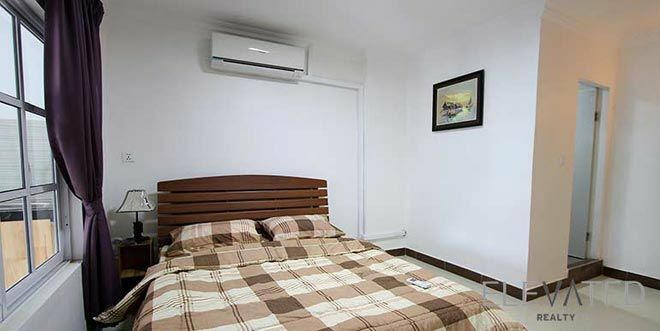 This can be nice if you prefer to have some of the comforts of home in your Phnom Penh apartment. These buildings often have many foreign tenants so this makes it easy to make friends and socialize. Owners are often more experienced and follow through on maintenance requests and concerns more readily. 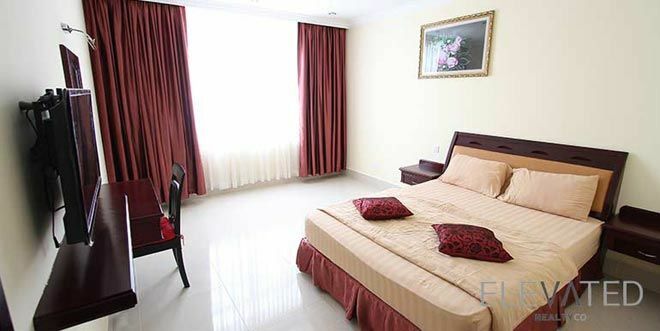 Full-service apartments are the best you can come by in the city, and include almost everything you could desire in a Phnom Penh apartment. Western style layouts, natural light, beautiful views, modern equipped kitchen with an oven, modern bathrooms, and walk-in closets. You get what you pay for when it comes to luxury in Phnom Penh. In this range, services such as cleaning, laundry, Internet, cable, water, and often concierge service are included. Buildings will have one or multiple elevators, 24-hour security, car, bike, and moto parking, a gym, and a swimming pool. You can expect to have streamlined and organized rent collection and timeliness in maintenance requests. 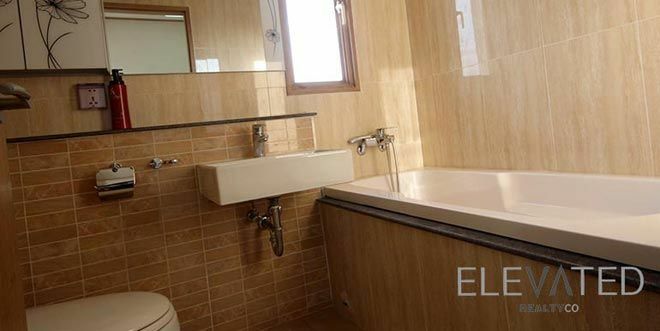 The bathrooms in full-service apartments are just as nice as the rest of the place. These buildings are easy to find in the city, but prices are often high and vacancy rates low. 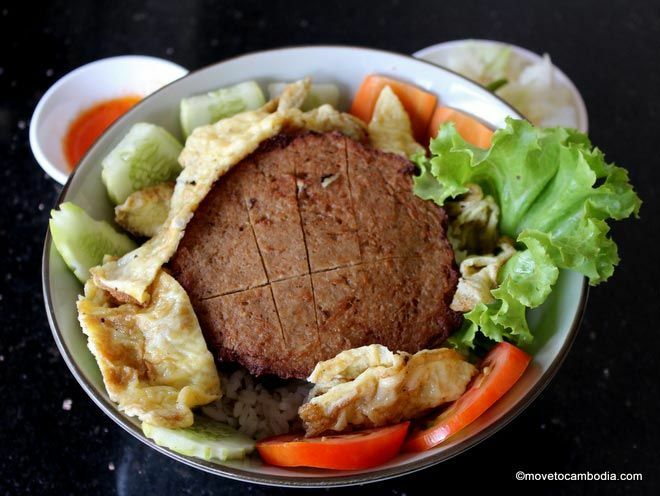 However, they can be found in nearly every neighborhood in Phnom Penh. 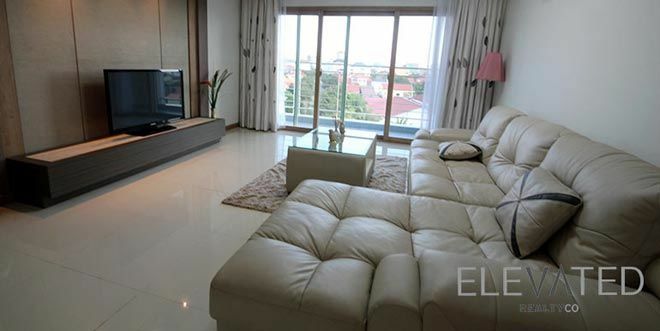 Phnom Penh luxury apartments certainly are luxurious. These buildings seem to be larger and often have families living in them, because of their size it is often more difficult to get to know your neighbors or your landlord on a personal level. This is the perfect place for a young professional who loves to entertain or family who likes to have the extra space and comfort. 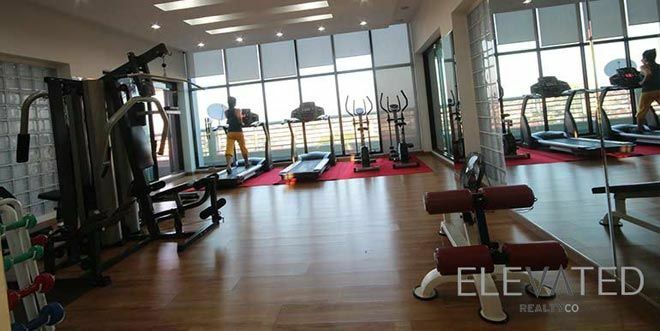 And yes, there’s a gym. For all of the properties shown, the price ranges are based on one-bedroom properties, for two bedrooms you can expect an increase of anywhere from $150 to $300 per bedroom. As in any city there are exceptions to these property types both in included services and prices. 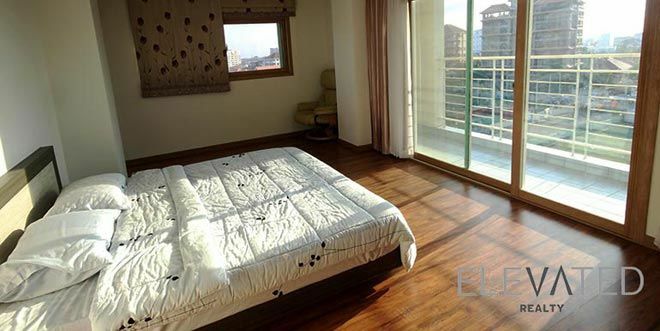 As Phnom Penh grows, prices continue to rise, however there are still great deals to be found. Some owners haven’t raised their rental rates in years. Others raise them with each tenant. It is important in any home that you feel comfortable with who you renting from and are able to effectively communicate with them. Also, do your own research and viewings to understand what you like and want. Many forums and expats who have been in the city for an extended period of time may say that you can get a Western-style apartment for $200. While this is still possible, these days, deals like this are far and few between as the city on the whole is changing. Properties are changing—the most beautiful building in BKK1 five years ago might now be the oldest building in BKK1—and unable to compete with the premium apartments being built in Russian Market, but still be charging top dollar. Be sure to visit several places when trying to determine what you can get for your money, and understand that being open to different neighborhoods and property types increases your chance of finding a great deal! Elevated Realty specializes in tailor-made home searches in Phnom Penh that are a hassle-free way to find the perfect space. View their properties on their site, Elevated Realty, or give them a call at +855 (0)23 220 609. This entry was posted in Practicalities, Phnom Penh and tagged homes and apartments, Phnom Penh real estate, Elevated Realty, real estate. Bookmark the permalink.